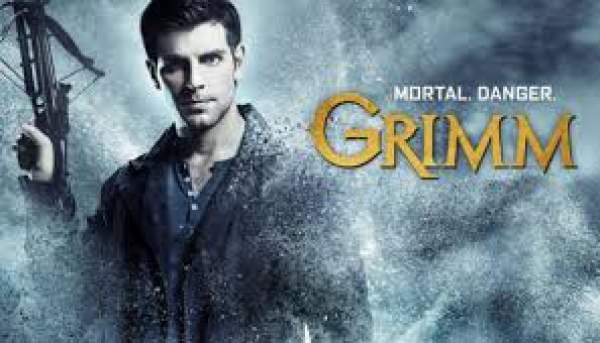 Grimm Season 6 Episode 8 Spoilers, Promo, Air Date: The Grimm episode 8 of season 6 titled “The Son Also Rises,” is scheduled to air on NBC on February 24, 2017. It is directed by Peter Werner and written by Todd Milliner and Nick Peet. The next episode will be titled as “Tree People,” directed by Jim Kouf and is scheduled to be released on March 3 this year. “The Son Also Rises,” will show the Nick dealing with a case of attacks on scientists with Hank and Wu. Rosalee (Bree Turner) and Monroe (Silas Weir Mitchell) will know the truth about Eve. But she tries to be normal in front of others and start experiencing the after effects of the death grip at the same time. Monroe and Rosalee will continue their journey to find the origins of the cloth. Nick, Hank, and Wu as they investigate a case, like they have never encountered in their career before. The case is connected to a team of scientists that are the targets of deadly attacks. As the research of the cloth continues, Monroe (Silas Weir Mitchell) and Rosalee (Bree Turner) will get to know that Eve (Bitsie Tulloch) is experiencing the death grip’s after effects. When she got to know that she is in a death grip, the only thing which could save her was the magical twig. However, the problem is, it’s now with Nick (David Giuntoli). Eve also started to see visions too after that. She warned Nick about using the stick, but she did not tell what actually was happening to her. The Hexenbiest was earlier known by the name of Juliette, but the Wall of Hadrian broke down when tried to control her powers. Eve will eventually revert into Juliette. She lost her memory when Hadrian’s Wall resurrected her. In her alternate personality, she killed innocent people and one of them was Nick’s mother. She may get drawn into the guilt of killing Nick’s mother Kelly. Diana may discover Eve’s role in Kelly’s death and eventually get on her bad side. She, however, hopes that Juliette’s friends will realize that she has changed actually and returned to being good. As for the effects of the sticks, Tulloch hinted that the focus is not about Juliette’s feelings returning, but remembering her old self. Meanwhile, Capt. Renard (Sasha Roiz) will reach out to an old friend in his determination to find answers to the symbols drawn by Diana (Hannah R. Loyd). He will even ask an old friend to help look for the origins of the codes. Renard’s gut feeling tells him that he has stumbled on a gold mine. If his daughter made those marks, they must be crucial. He needs to get the answers fast. Previous articleThe Bachelor Season 21 Week 8 Spoilers 20th February 2017: Nanny Raquel grilled Nick about his intentions towards Corinne.